2 -12,000 BTU stainless steel burners which can be operated independently for optimum performance and temperature control. 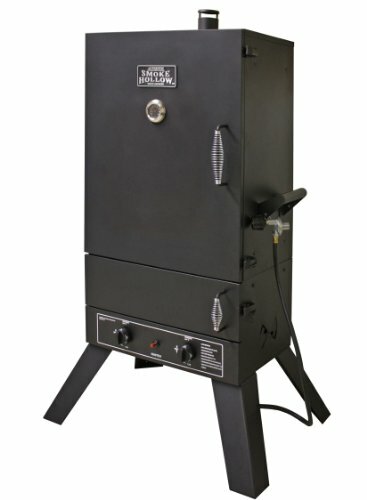 The Smoke Hollow 44" also features 2 wood chip pans to provide just the right of amount of smoke flavor and a large porcelain-coated water pan. 6 cubic feet of capacity, can easily handle enough food for large gatherings. If you have any questions about this product by Smoke Hollow, contact us by completing and submitting the form below. If you are looking for a specif part number, please include it with your message.